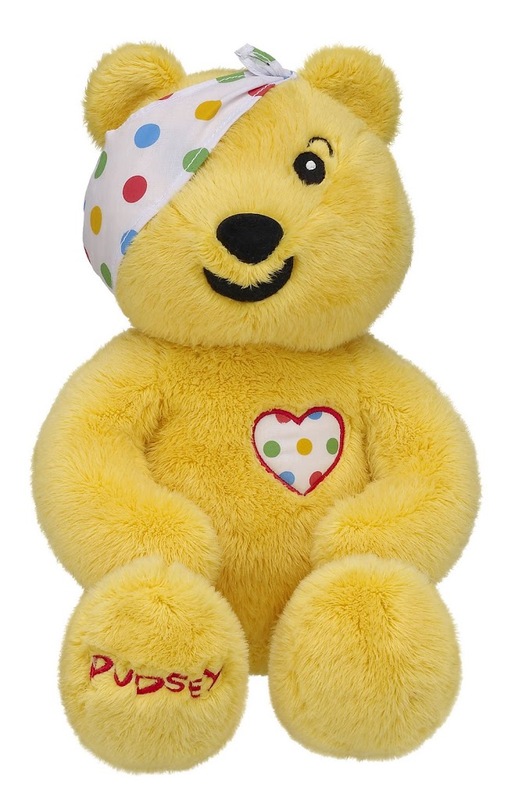 Pudsey and Blush fans are able to make their beary own BBC Children in Need mascot at any of 55 Build-A-Bear Workshop® stores across the UK with £5 from the sale of each Pudsey and Blush Bear going directly back to the national charity Appeal. Blush Bear who is Pudsey’s ‘BBF’, likes playing the drums and dancing and is on hand to help Pudsey with his busy fundraising schedule, lending him a well needed paw when he needs it. Blush loves to have fun and comes with magnetic paws to help her cover her rosy cheeks. 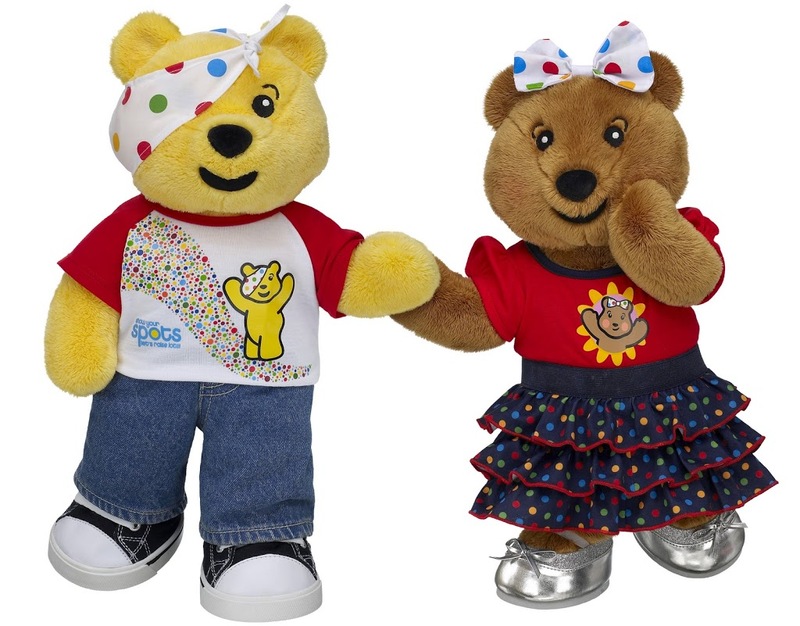 New for this year is a fabulous Pudsey, who has been re-designed to feature a beary cute spotted heart, a t-shirt with an all new BBC Children in Need design and a bear-illiant pair of Pudsey slippers and pyjamas. Blush has had a make-over too with a beary pretty new pinafore dress. An additional £1 from the sale of the t-shirt, slippers, pyjamas and dress will also be donated back to the charity. In 2010 Build a Bear Workshops donates £135, 000 to Children in Need, now that is amazing. You can support the cause by purchasing a Pudsey or Blush Bear from any Build-A-Bear Workshop store nationwide or from the company’s website at www.buildabear.co.uk. Pudsey Bear retails at £15; Pudsey Bear t-shirt at £5; Pudsey Bear Pyjamas at £10 and the Pudsey Bear slippers at £4.50 each. Blush Bear retails at £15; Blush Bear t-shirt at £5; and the Blush Bear dress at £10 each. I know I will be buying one, they are so cute. Are you doing anything for Children In Need?